Hello Again. This time closing out the "Zener Synth Distortion" Project. 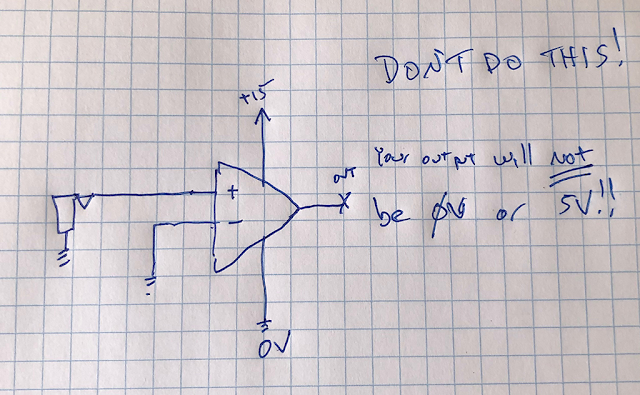 You can read Part I, how I stumbled upon this circuit, here. 2x zener prototypes, each slightly different builds, are up and running, panels Lazertran'd, ready to go. This is a super simple build, almost no parts! How does it sound? you be the judge! I have uploaded a demo sound file on Soundcloud. I tried to give the most objective before/after demo of the 2 modules I could. No reverb, no filters, no echo etc. boring right? "Zener" provides in your face, loud, crunchy distortion and greatly emphasizes beat frequencies. maybe a bit much? The rest of the demo (the last 3:30 or so worth) is "Son of Zener", a lot more subtle. Shorts anyone? 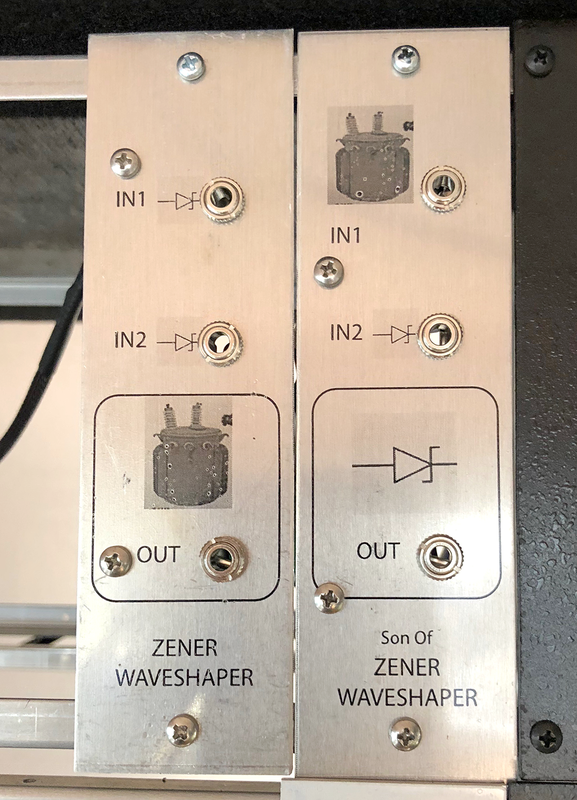 On "ElectroMusic" forum there was discussion about buffering the inputs (so 2 input signals don't go through both inward facing zeners and short one another). Ach Tung! I added a single unity gain buffer to one side of each design. 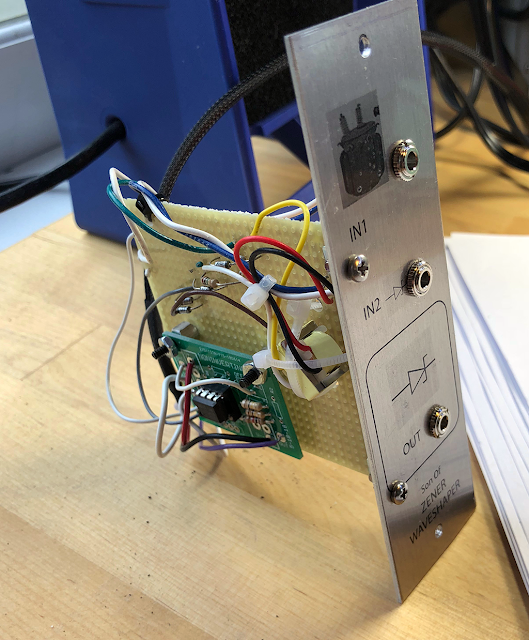 Update: After a bit more discussion with Phobos from the site, it makes sense to buffer the Son of Zener input as well, since the transformer only supplies about 45-50 ohms of resistance. OK that's it, time to move on. I can fab a PCB of this if anyone is interested; I can't charge you for 'em, sell em on etsy or whatever, due to the deal I have with my current employers, but I can send a "freebee" out to whoever is interested (help me w/ postage? Whatever....) If there is any interest I'll get that going. Until then enjoy some Ziener for your wiener.....This is a super easy circuit and I'm sure can be improved. Different value Zeners? More buffering? Figure out if the transformers are needed or if I was listening to too much 80's pop while I was prototyping? How about an AC offset in front of each input (which changes the sound). Please let me know whatever you come up with. Have fun! 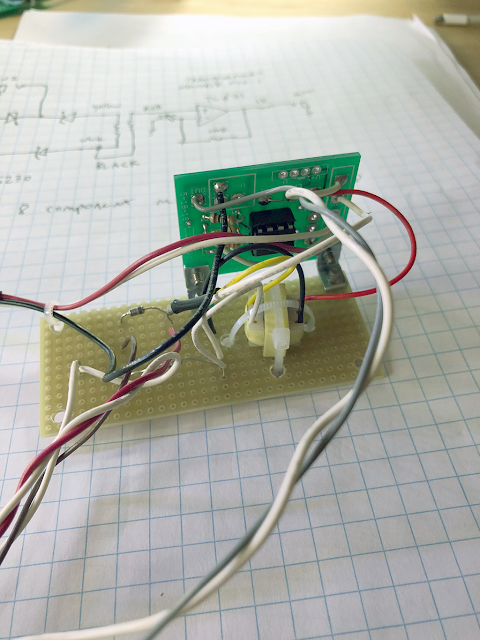 40106 Quad opto coupled VCO--Lunetta Lives! Synth DVM part IV: Neat Arduino Trick--good for Audio DIY--Crush that op amp! Musician/Geek with mild to moderate OCD but highly functional. I am not ashamed.